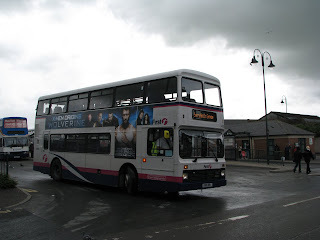 C412 HJN was today spotted by Louis Rawlings operating on UGOBUS service 2!! A main stream route usually operated by the much more modern Darts and B6s with the low floor capabilities. 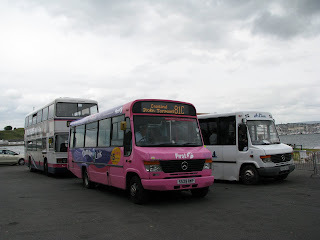 This comes as K802 ORL has again returned to Torpoint from Callington. 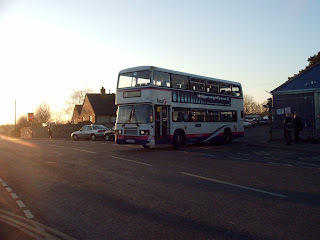 Therefore this seems likely that this may now turn into a permanent transfer with the extra buses now in the local fleet, meaning that this may just be the end for C412. Then again she may simply be in for maintenance and be back soon! We'll have to wait and see! Picture from Derrick Cuff here is A-Line Travel's Van Hool bodied Scania, broken down in Crafthole. The bus was replacing also out of service R651 YCR. The Van Hool is still having problems with the fuel system having a 'fuel bug' which keeps clogging up the fuel system. Sadly this cannot be helped and is hard to treat. The Vario is at the moment being seen to because of the fuel system, as air is still escaping meaning that the system is not fully pressurised. The day started off with Jim on the X reg, as the R reg was unserviceable though today passed her MOT so will likely return to service, next week. We did not take the same route diversion as of yesterday, Jim risked taking the Vario round the back roads of Millbrook, avoiding New Road. In the old Ivecos he said that this would be been easy as pie, being able to take them through the 'shortcut' though the Vario had to continue much further up until reaching the mini roundabout at the opposite end of New Road, avoiding Millbrook Quay. This was captured on film and this will be put onto Youtube in the very near future. 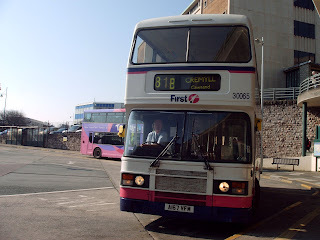 Strangely, shortly after departing Cremyll on the ferry, a service 81C displaying Cremyll, operated by a Trident turned up. 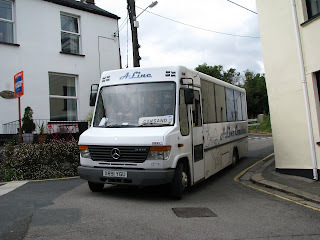 This bus was not due for another hour, and the school bus to Torpoint had already left, so not sure what this bus was doing. On returning to Cremyll, I was greeted with this magnificent sight. 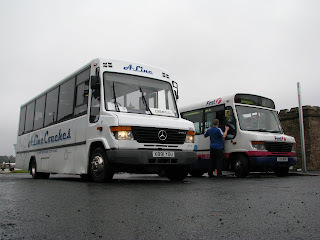 Leyland Olympian C412 HJN, and Mercedes Varios X891 YGU, and S529 RWP. X891 would operate the service ran this morning in reverse. C412 HJN would wait in Cremyll for S529 RWP to take passengers down to Millbrook, then pick up people from Torpoint, drop them back to Cremyll and then swap to C412 for the journey to Torpoint. 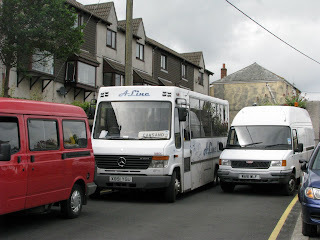 Pictures here show the route diversion from outside the bus, you can see this silly people parked his van right in the path of Cuffy, making if very difficult to negotiate. On returning to Cremyll, there was this 'wonderful' sight, 3 Mercedes Varios all lined up, and kindly all of the drivers posed for the camera. From left to right, A-Line Travel X891 YGU with driver Derrick Cuff, FDC S529 RWP with driver Tony Body, FDC S547 RWP with driver Patrick Hunt. Sadly this will be the only day of shuttle operation, and there will simply be no buses other then A-Line serving Millbrook. But what an exciting day its been! 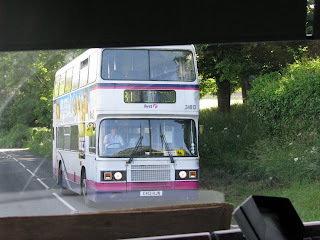 Today saw K625 LAE an Ex-Bristol Leyland Olympian, take to service on the 3, normaly covered by a Dart of B6!! I apolgise for the quality of the picture but it did jump out at me! I was stunned to see this here!! 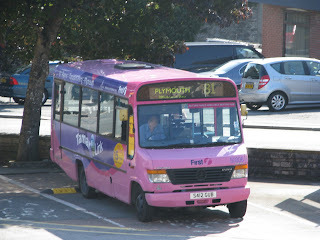 On further investigation I have found there there are now at least 2 in service in Plymouth. 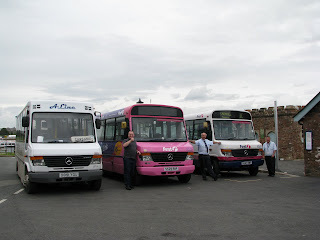 I'm guessing that these 2 and K801 and K802 ORL will be transfered to Torpoint in the near future meaning that the remaining C reg Leyland Olympians can be taken out of service. Very nice to see some proper buses on the route for a change!! Just a quicky today, I apolgise for few posts recently but exams have sadly had to take priority. In a few weeks normal service will resume. The picture here, was taken in Camborne yesterday, was gorgeous weather up until about 15 mins after this was taken. 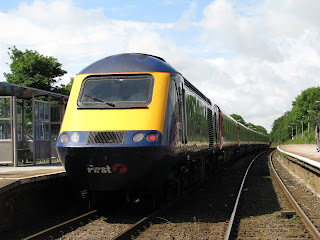 The picture shows 43022 taken from the road, heading down the line to Penzance. R651 YCR is off the road again while having attension made to the starting/fuel system on the bus. This has been a problem with the bus since she was purchased a year ago, and even now, there are still problems which are seeming very hard to rectify. Therefore X891 YGU has been operating the services the R reg would usually, and the Transit has been hard at work on the school run, which the X reg would usually operate. I think it would be fitting to start with the bad news first. 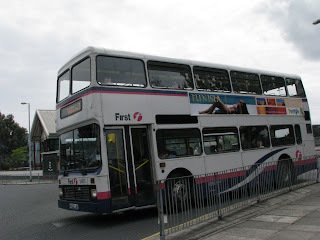 Two buses from Torpoint have bitten the dust this week. Firstly is S412 GUB. Which was quite a surprise seeing that she only had a refit a few months ago, and had been one of the best Varios at Torpoint. She was also the last one in the fleet not to have an electric blind fitted, quite rare by standards of today. Therefore covering is just more and more Varios. 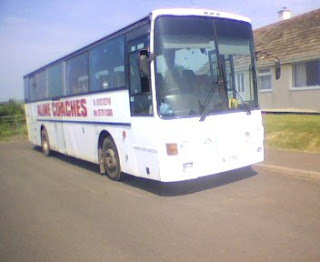 The next, news that was unknown to me until today is that Ex-Torpoint Leyland Olympian A167 VFM has now been sold for scrap! She was used at Torpoint in late 2006 and early 2007. 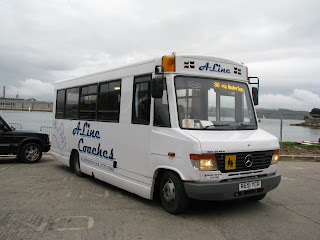 She was then moved down to Penzance on 27th July of 2007. 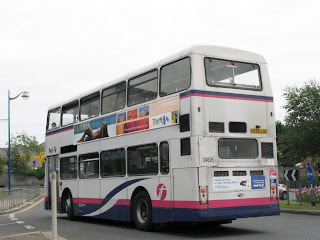 She had therefore also been noted on many Truro routes, and up as far as Bude on some occasions. The last news I had was that she was being used in her old haunt at Barnstaple as a driver trainer, though news points that she has now been sold for scrap. I great shame as she was one of the nicest Olympians I have ever traveled on. It has also been reported that though, C417 HJN is on long term absence she is still down on the books. This means that she may still return to service though there is major work needing to be carried out for this to be possible. This would include a gearbox change and likely a lot more things underneath the surface, which I doubt FDC would be willing to do at this moment in time. 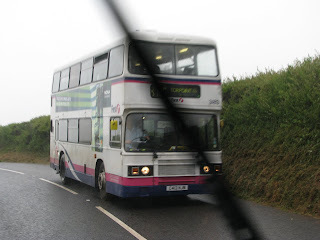 Though on the upside very kindly, a Callington Driver updated me on the condition of K801 ORL. 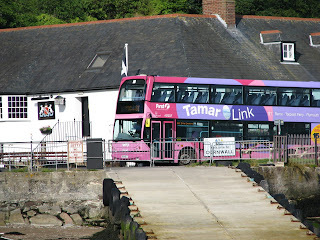 She is currently still being used on Callington route 76 and 76A, though has now been fitted with a ferrylift ready for Torpoint. This means that the 2 sisters are together again, though not quite where they should be!